Works well with both Wall and Floor projects! We do offer quantity discounts on large quantities of Raimondi RLS clips please email orders@contractorsdirect.com with your information and the desired quantity. how do you know the qt. that you need? Since the Raimondi Wedges are reusable you should only purchase as many wedges as you expect to use in one day. 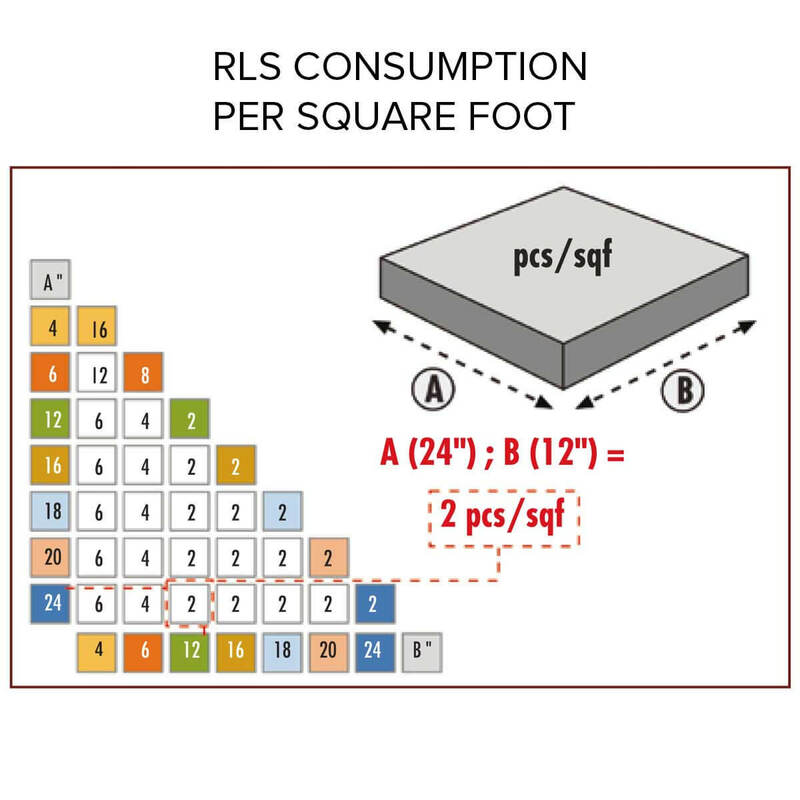 Average consumption will vary by tile size and total sq. ft. of the job. I am laying a multi size pattern with 6x6, 6x12, 12x12 and 12x24. I seen your clip qty chart, but it is not altogether clear. How many clips do you recommend for each of those tile sizes? It would be easier to refer to the square ft. coverage of each type of tile you will be using. For example, if you buy 15 sq ft of 6x6 tile, you would need (15 sq ft x 8 clips per sq ft) = 120 clips Let us know if you have any further questions. Works well. Only tried the 3D version of the clips, gonna try the regular clips this time around. Zero stars for the design team. Product is good and does the job, BUT... the problem is some wedges break when clips are hit the next day. Eventually all wedges will break after being used multiple times. This is because there's not enough support under the wedge... it's just 3 plastic lines with empty space in between. There should've been at least one support line across the middle of the 3 long ones. I really hate when design teams plan things to fail on purpose to make more money by us having to buy more. They're a bit big for anything less than 6" wide, but otherwise no complaints. This made my job turn out 100%better than I could have ever imagined. Once I got into the drive of the spacers and wedges it flowed seamlessly. I would recommend everyone use this product.